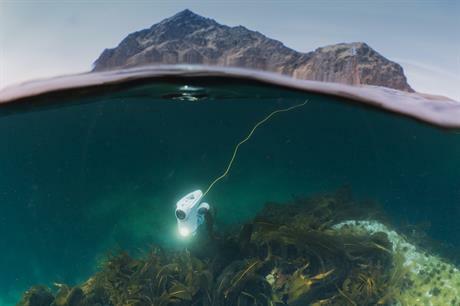 NORWAY: Technology firm Blueye Robotics has revealed a new underwater drone, which could be used for cable surveys and inspections. The Blueye Pioneer drone is 45cm long, 25cm wide and 35cm high, and weighs 7kg. It can operate up to 150 metres below sea level, the company claimed. It was designed by Blueye Robotics, based in Trondheim, Norway, by graduates from the Norwegian University of Science and Technology's centre for autonomous marine operations and systems. 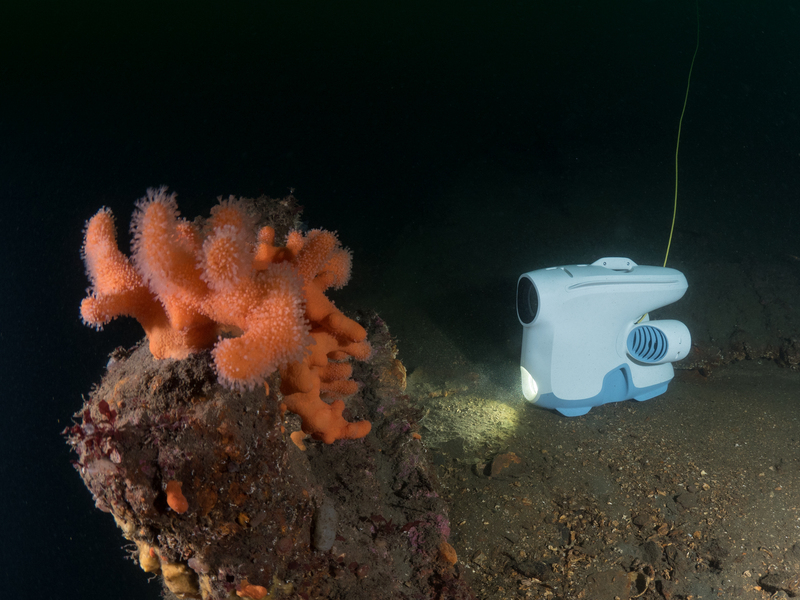 Blueye claims the usual method of using remotely operated underwater vehicles (ROVs) or divers for cable inspections is "very costly and require[s] extensive training – and in most cases an external operator – to manage". The firm said its system can transmit high-quality live video to a handheld device or virtual reality headset, making it easier to use. "We are providing owners and operators of offshore wind farms with an industrial drone that can be operated by everyone capable of using a smartphone or tablet," said Blueye Robotics CEO Erik Dyrkoren. "In principle, array cables and export cables represent the cash flow from offshore wind farms. To be able to conduct more regular visual inspections of these cables and the surrounding seabed can give operators the opportunity to address potential issues before they become a problem. "Combined with lower than usual capex and an opex close to zero, we believe this underwater drone can make visual inspections more frequent and less cumbersome for operators of offshore wind farms," added Dyrkoren.